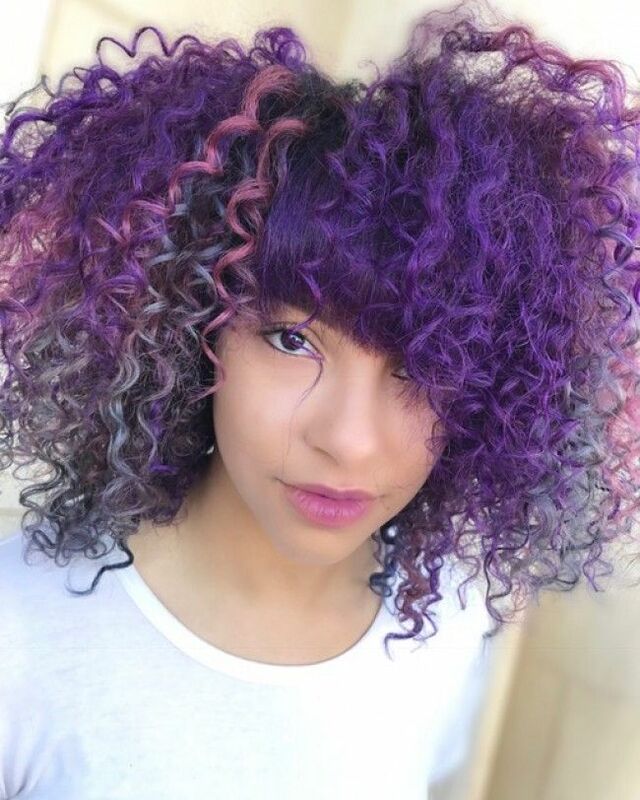 Love your curls but bored with the color options? Or perhaps you are afraid you won't be natural anymore after you color. There is so much discussion about if you color are you still considered to be 'natural' and my answer is that it depends on what your definition and hair goals are. Let’s break this down. Color application is a chemical that alters the bonds in your hair strands. For example, the lighter or blonder you go, the straighter your curls will become. With that being said, your hair is chemically processed once you apply color or lightener to the hair. Therefore if you don’t want any chemicals in your hair then simply opt out of a color service. For the rest of us that are ready to explore some vibrant pinks, purples, and everything in between, let me introduce you to a color specialist that will take you to Candy Color World. Meet Leysa Carrillo, a stylist at Atelier by Square Salon in Las Vegas, NV. 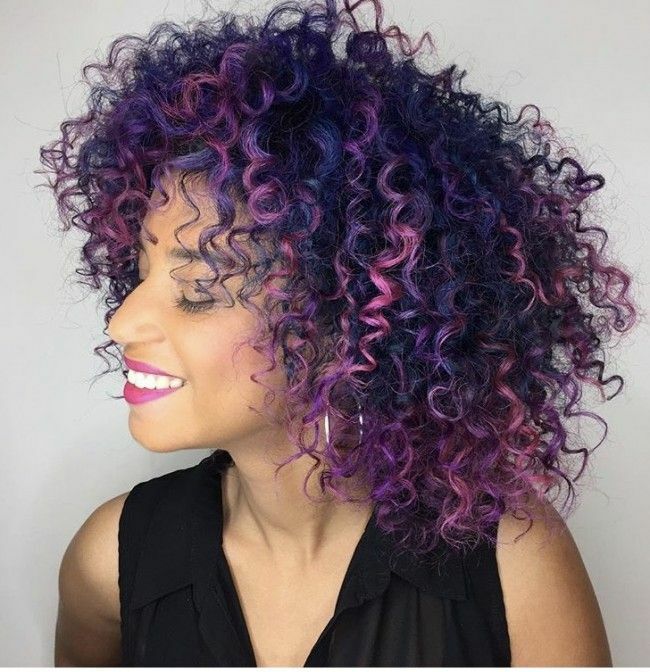 What are your favorite color trends for curly girls this season? Sugar Plum (above): This technique with a lot of movement can work on loose curls better, showing the multiples all the multiple colors. Pink Flower (below): Ombre technique for those with tighter curls, a darker interior transitioning to a lighter ends. 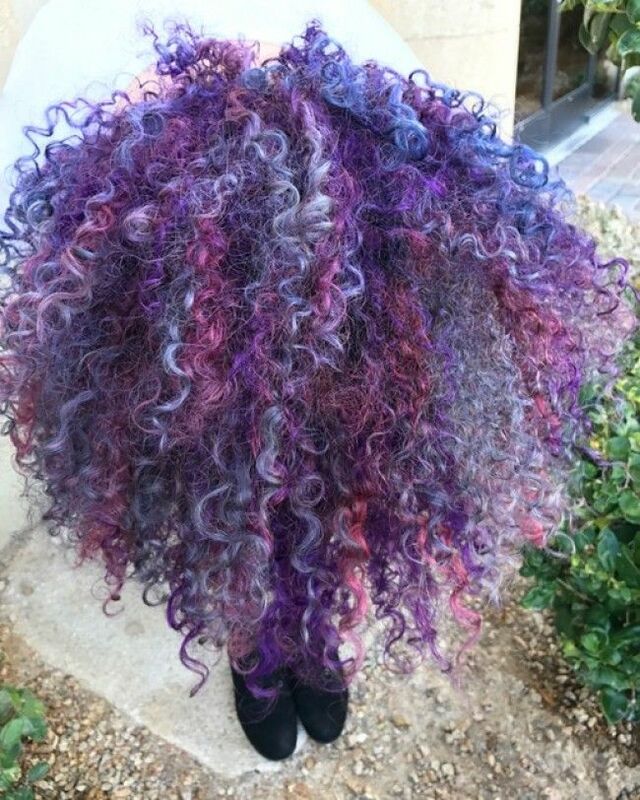 What are your favorite brands for conditioning colored curls? Is it challenging to color naturally curly hair? What is your favorite technique when coloring natural curls? Are ingredients in the color line important to you? “Yes, always! Various types of alcohols, which can also dry the hair, are present in most hair color. Check out the official ingredient list for a hair color formula." How important is product maintenance on curls that have been colored? Make sure you read and research and find a professional that is use to working with curly hair. I would recommend the Surface Curls hair care line because it has vitacolor complex to protect your color investment. Happy spring and summer coloring! You can book an appointment with stylist Leysa Carrillo here. Stacy is the owner of Augusta, GA-based curly hair salon, DyeVerCity. Follow her on Instagram @DyeVerCity.